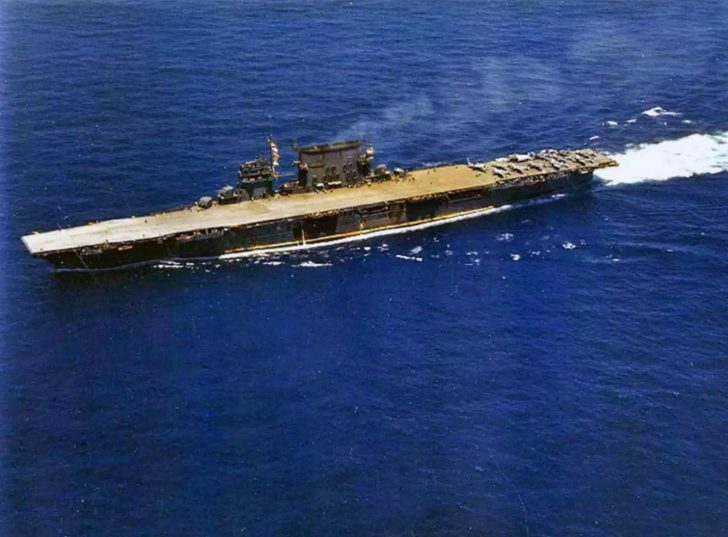 Color photo of the Second World War: American aircraft carrier “Saratoga”, class “Lexington” in the sea. 1942. On the flight deck, there are 5 Wildcat fighters, 6 Douglas SBD Dauntless dive bombers and 1 Avenger torpedo bomber.